As I sit here pondering what to write, what is it, exactly, that is doing the pondering? Where do the thoughts come from? How does the 3 lb mass of grey matter that is my brain give rise to the felt experience of sensations and thoughts? It sometimes seems essentially inconceivable that the water of material processes could give rise to the wine of consciousness. Indeed, it is so famous a conundrum that it has a name...the (in)famous mind-brain (or mind-body) problem. Failure to have consensual resolution to the mind-body (MB) problem remains at the heart of psychology and its difficulties as a fragmented discipline. My goal here is to briefly explain how the unified theory of psychology (UT) resolves the MB problem. We need to first get clear about what most folks mean when they use the term the mind. What, exactly, are they referring to? 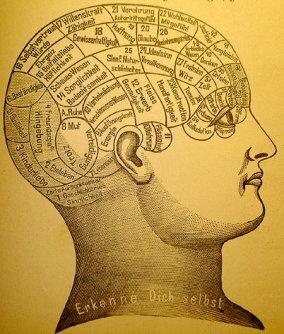 In common parlance, 'the mind' most often refers to the seat of human consciousness, the thinking-feeling 'I' that seems to be an agentic causal force that is somehow related but is also seemingly separable from the body. The idea of life after death is so intuitively plausible to so many because our mental life seems so different from our bodies that we could imagine our souls existing long after our bodies decompose. This leads to a common sense dualism that is part and parcel to many religious worldviews. The UT suggests there are some semantic problems referring to the human self-consciousness system as 'the mind'. One reason why has to do with what Freud 'discovered' over a century ago and is now well-known by modern day psychologists (see, e.g., Tim Wilson's Strangers to Ourselves)-consciousness is only a small portion of mental processes. Consciousness and mind are thus not synonymous. So, we need to realize then that the MB problem needs to either be the Consciousness-Brain-Body problem or the Consciousness-Mind-Brain-Body problem. A mind ( /ˈmaɪnd/) is the complex of cognitive faculties that enables consciousness, thinking, reasoning, perception, and judgement —a characteristic of human beings, but which also may apply to other life forms.